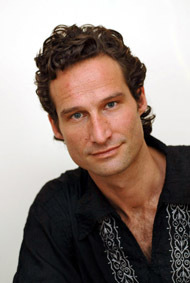 Simon Piers Gall is a complementary therapist and teacher of all aspects of Traditional Thai Massage. He founded the London School of Thai Massage to promote Thai Massage, following an inspirational study trip to Thailand. Simon has spent over a decade studying thai massage. He has trained throughout Thailand, at many schools, and with many teachers, and he feels privileged to understand Traditional Thai Massage from some of the few remaining Masters of Thai Massage. As a former personal trainer and sports therapist Simon immediately recognised the potential of traditional thai massage, with its unique blend of deep stretches and compressions, to relax, rehabilitate, and revive. Simon teaches his classes throughout the UK and worldwide, and has also helped spas and salons to integrate Traditional Thai Massage into their treatments. Simon is also a trained yoga teacher and specialises in the Traditional Thai form, known as Thai Yogha or Ruesi Dutton. When Simon is not travelling or studying he teaches and practices in London, and from his home in Kent. Simon is the school principal and head tutor for The London School of Thai Massage www.lstm.co.uk Here he concentrates on teaching Thai Massage to small groups and individuals.